Summary: August 31 morning, Former Jining City Mayor Wei Yudong, Former Jining Military Division Commander Xie and entourages accompanied by Jining City Electronic Information Association Secretary General Liu Xiaoling, visited China Coal Group for inspection and research on Group innovation and development, e-commerce, cross-border e-commerce, e-commerce personnel training, agricultural e-commerce, science and technology information and other works. China Coal Group Deputy General Manager Han Yong, Deputy General Manager Fan Peigong and other leaders accompanied the reception. 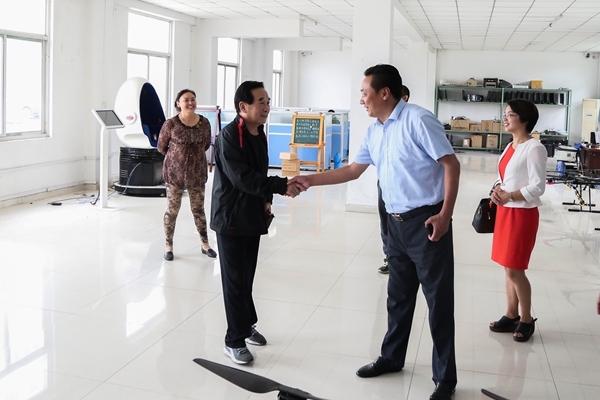 August 31 morning, Former Jining City Mayor Wei Yudong, Former Jining Military Division Commander Xie and entourages accompanied by Jining City Electronic Information Association Secretary General Liu Xiaoling, visited China Coal Group for inspection and research on Group innovation and development, e-commerce, cross-border e-commerce, e-commerce personnel training, agricultural e-commerce, science and technology information and other works. China Coal Group Deputy General Manager Han Yong, Deputy General Manager Fan Peigong and other leaders accompanied the reception. 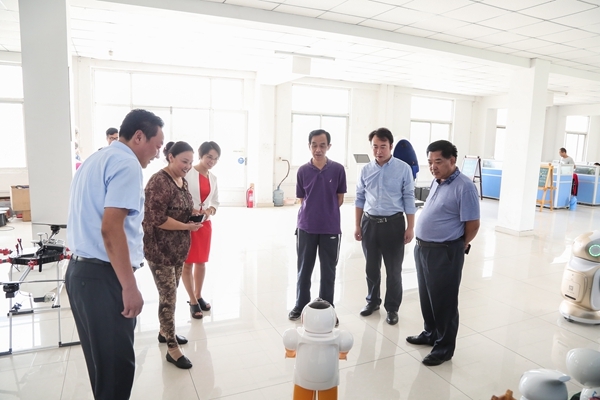 Visiting leaders visited China Coal Group e-Commerce Technology Building, E-Commerce Company, Cross-Border E-Commerce Company, Network Information Company, Software Technology Company, Weixin Agriculture Technology Company, Kate Intelligent Robot Company, Intelligent Terminal Equipment Exhibition Hall and so on. 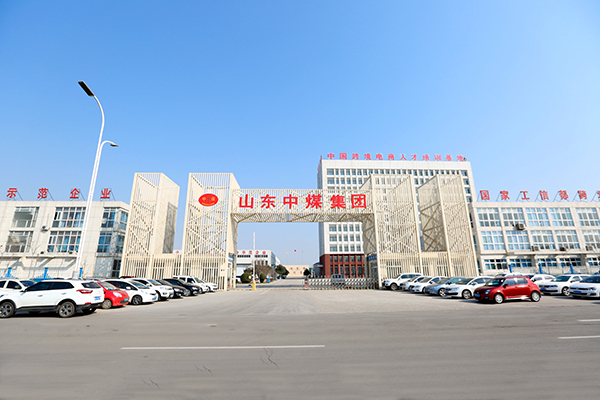 During the visit, Deputy General Manager Han made a detailed introduction of China Coal Group's development in the areas of e-commerce, cross-border e-commerce, software R&D, agricultural e-commerce and other fields and the training of e-commerce personnel and received praises from leaders! Mayor We gave a high degree of evaluation and recognition to our Group's development achievements in the e-commerce, cross-border e-commerce, software research and development, e-commerce personnel training and other aspects, unanimously affirmed to Our Group adhering to multi-industry, high-level, wide-world global development strategy! 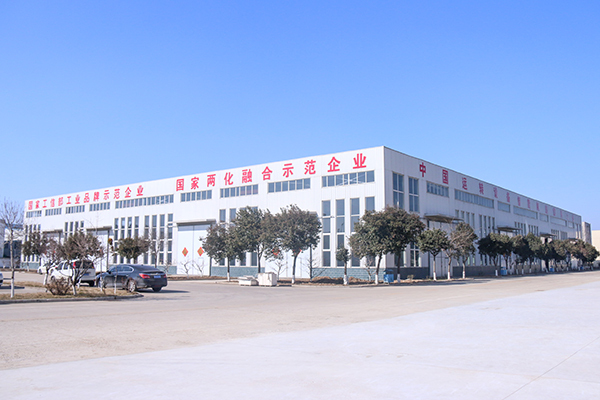 He pointed out that the municipal government attaches great importance to the development of e-commerce in the city, the e-commerce as a government "number one" project, as an important pillar industry focus on fostering, China Coal Group as e-commerce benchmarking enterprise of Jining City, Shandong Province and Ministry of Commerce e-commerce, greatly led the city's e-commerce development takeoff for the city's e-commerce transformation and development, made outstanding contributions, hope China Coal Group to strengthen policy docking, seize the opportunity to give full play to the leading role of e-commerce leading enterprise, make success in scientific and technological innovation, personnel training, intelligent manufacturing and other areas! At the same time, Mayor Wei further cleared to increase support efforts to city's key e-commerce enterprises, to allow more enterprises in the field of e-commerce be bigger and stronger! 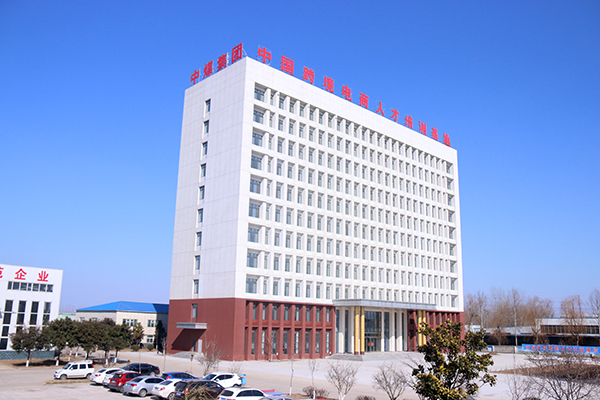 Deputy General Manager Han said, very grateful to the city leaders for strong support and high degree of concern to China Coal Group's e-commerce development for a long time, thank leadership for affirmation and encouragement to development of China Coal Group, we must actively respond to national policies, make full use of great opportunity of all levels governmental key supports towards Group e-commerce development, to strengthen communication and collaboration with the city's industrial enterprises, to share the advanced experience of enterprise transformation and development, and better lead the city's industrial enterprises to explore new ways of e-commerce development, to make more positive contributions to city's rapid economic development!